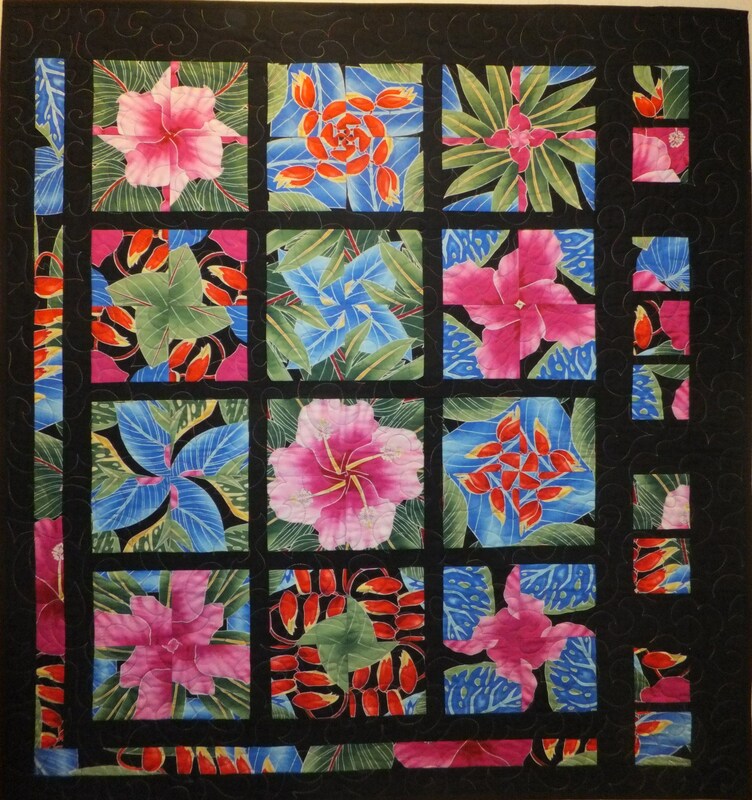 Simple “Stack and Whack” four patch blocks made from one fabric piece! Choose a fabric that has a curvy, or interesting large print with a variety of shapes, scale of pattern and colors that you like. 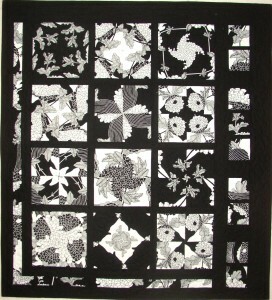 I favored this black and white print initially but have subsequently made it with three other colored fabrics with marvellous and quite different results. 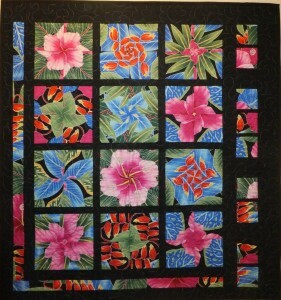 three quarter yards for $20.00 (includes shipping charges).